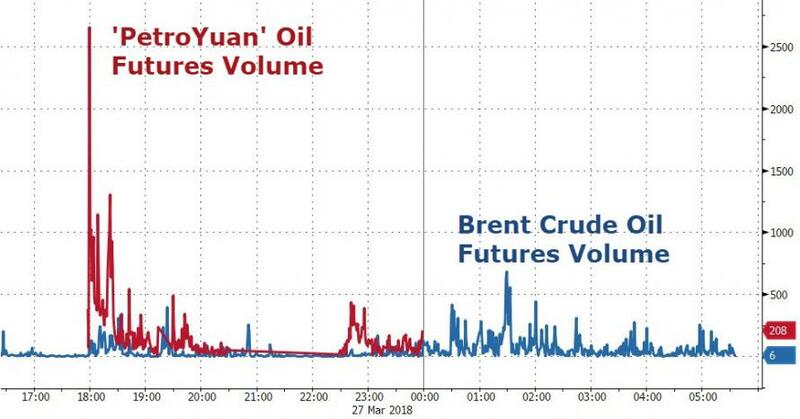 Just days after Beijing officially launched Yuan-denominated crude oil futures (with a bang, as shown in the chart below, surpassing Brent trading volume) which are expected to quickly become the third global price benchmark along Brent and WTI, China took the next major step in the challenging the Dollar's supremacy as global reserve currency (and internationalizing the Yuan) when on Thursday Reuters reported that China took the first steps to paying for crude oil imports in its own currency instead of the US Dollars. A pilot program for yuan payment could be launched as soon as the second half of the year and regulators have already asked some financial institutions to "prepare for pricing crude imports in the yuan", Reuters sourcesreveal. A change in the default crude oil transactional currency - which for decades has been the "Petrodollar", blessing the US with global reserve currency status - would have monumental consequences for capital allocations and trade flows, not to mention geopolitics: as Reuters notes, a shift in just a small part of global oil trade into the yuan is potentially huge. "Oil is the world’s most traded commodity, with an annual trade value of around $14 trillion, roughly equivalent to China’s gross domestic product last year." Currently, virtually all global crude oil trading is in dollars, barring an estimated 1 per cent in other currencies. 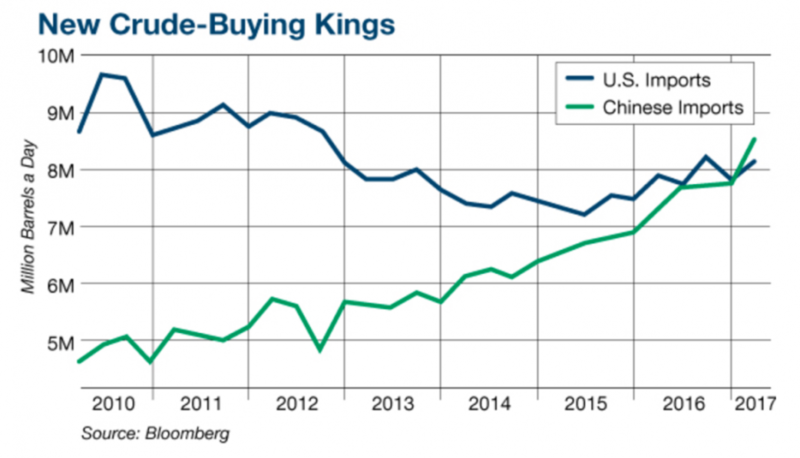 This is the basis of US dominance in the world economy. 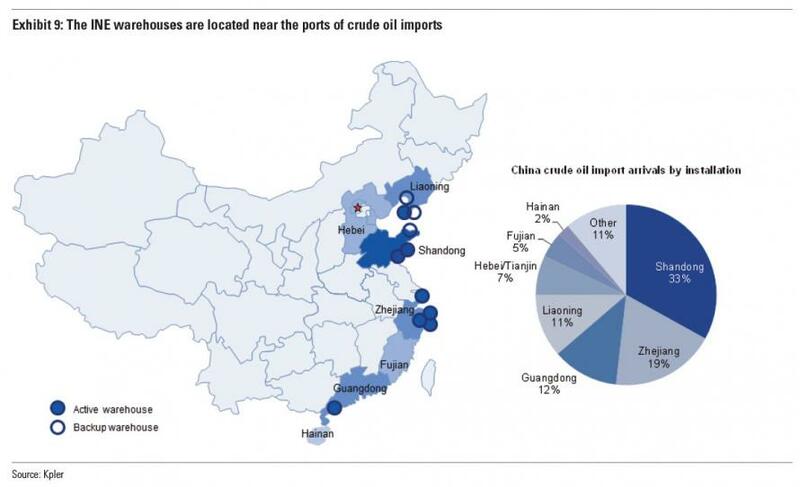 Superficially, for China it would be a matter of nationalistic pride to see oil trade transact in Yuan: "Being the biggest buyer of oil, it’s only natural for China to push for the usage of yuan for payment settlement. This will also improve the yuan liquidity in the global market,” said one of the people briefed on the matter by Chinese authorities. 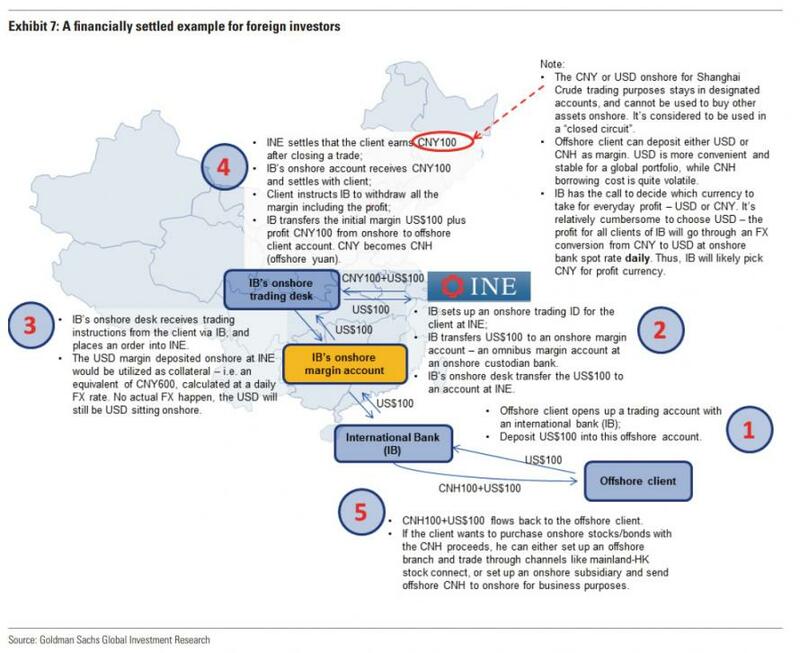 If China's plan to push the Petroyuan's acceptance proves successful, it will result in greater momentum across all commodities, and could trigger the shift of other product payments to the yuan, including metals and mining raw materials. Besides the potential of giving China more power over global oil prices, "this will help the Chinese government in its efforts to internationalize yuan," said Sushant Gupta, research director at energy consultancy Wood Mackenzie. In a Wednesday note, Goldman Sachs said that the success of Shanghai’s crude futures was “indirectly promoting the use of the Chinese currency (which, however as noted above, has negative trade offs as it would also result in a stronger Yuan, something the PBOC may not be too excited about). In a sign that China's recent Draconian capital control crackdowns have sapped market confidence in a freely-traded Yuan, the currency retained its No.5 ranking as a domestic and global payment currency in January this year, unmoved from a year ago, but its share among other currencies fell to 1.7 percent from 2.5 percent, according to industry tracker SWIFT. Whether or not Goldman is right remains to be seen, however it is undeniable that a monumental change is afoot in global capital flows, where the US - whether Beijing wants to or not - will soon be forced to defend its currency status as oil exporters (and investors in this highly financialized market) will now have a choice: go with US hegemony, or start accepting Yuan in exchange for the world's most important commodity.